The Mystique resort features that all what in it are made by hand from local materials, such as wood, glass and stone, even pillows are handmade from ancient Greek textiles covered with luxury mattresses giving the tourists a sense of simplicity and elegance at the same time, either from abroad is as classical Greek houses, built of limestone and then painted in white , and this seems obvious in its curves and engravings away from the straight geometric lines that usually seen in the resorts that belong with the same five-star. In order to exploit the genius of the resort's site , taken into account that all suites and villas have a direct sea views and in front of it couches to relax and full enjoy the place. Tourists also enjoy in this resort "Mystique" the restaurant "Charisma" on the banks of the Aegean Sea, this restaurant takes you to a mixture of global flavors , overlooking the swimming pool under dim lights outdoors, where the resort review the beauty of the place that chosen by himself on the tops of the volcanic mountains , and nearby the Asian health center full and equipped with all the modern facilities. 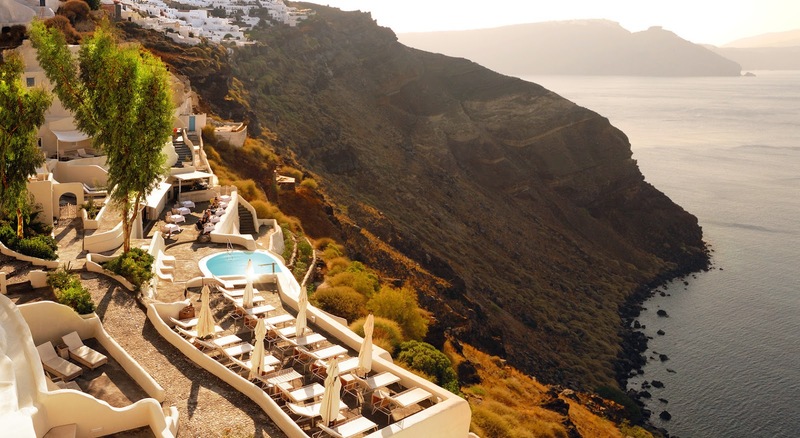 The nearest airport to the resort "Mystique" is Santorini airport ,which is just 18 km away , the resort offers buses take tourists to and from in just a few minutes.